In colonists’ earliest days in North America, timber framing was the architectural standard for building barns that would stand the test of time. Post and beam structures were sturdy enough to withstand heavy loads and weather fierce storms, all while allowing for wide open spaces within. 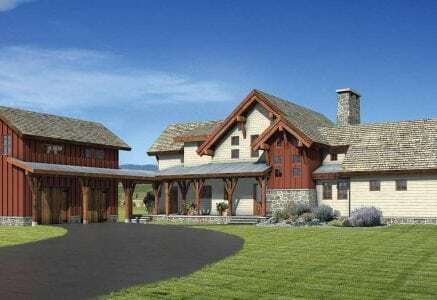 These qualities make the barn style a great choice for modern homes with open floor plans, as you can enjoy a blended living, dining, and kitchen area with nothing to interrupt the flow. 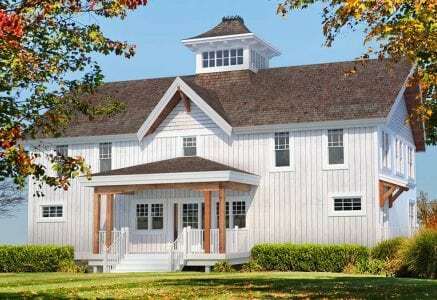 Barn style homes are full of country charm on the outside, where gambrel roofs and board-and-batten siding hark back to the building’s agricultural roots. 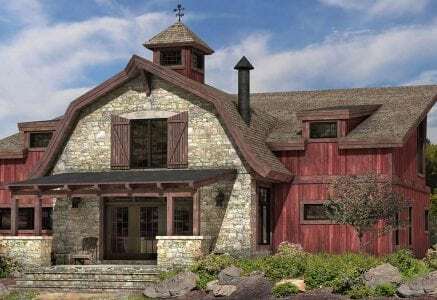 Cupolas and low shed dormers with clerestory windows are also common, as they were originally used to provide natural light in the days before electricity. Barn homes may also have fewer or smaller windows, which make for a snug, cozy space that’s quite energy efficient. 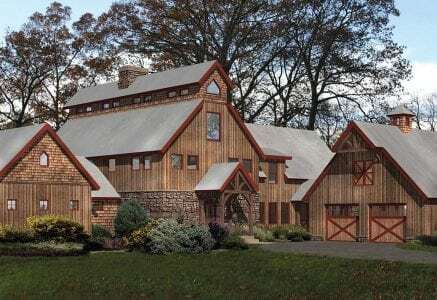 For most people, the biggest consideration in building a barn style home is its location. These styles work well in rural settings where they immersed in nature, whether by a wooded stream or standing authoritatively on a rolling pasture. 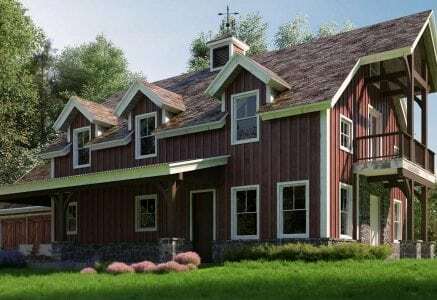 You may also be able to build a barn style home in established neighborhoods if the positioning looks like the barn used to serve a nearby house and was then converted to a living space. 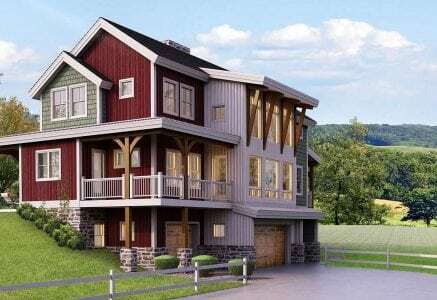 Barn style homes can be customized to work on hillsides with walkout basements or garages, which allows for many options when it comes to adjusting timber frame floors plans for your lot. The interiors often have very large great rooms and open loft spaces, so consider the balance of open space and your family’s privacy needs as you design the floor plan.